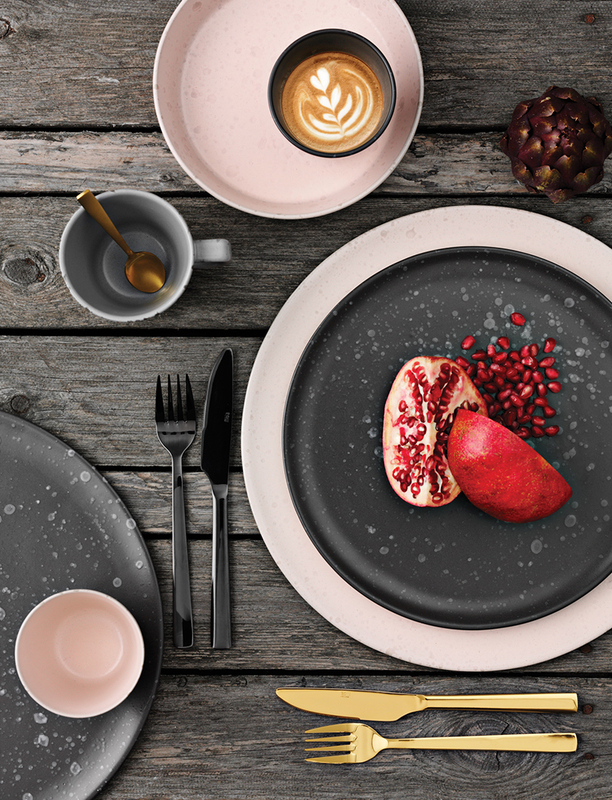 Ambiente Blog • Love on a plate. Good food is certainly important. But how it’s served also enhances our dining pleasure. 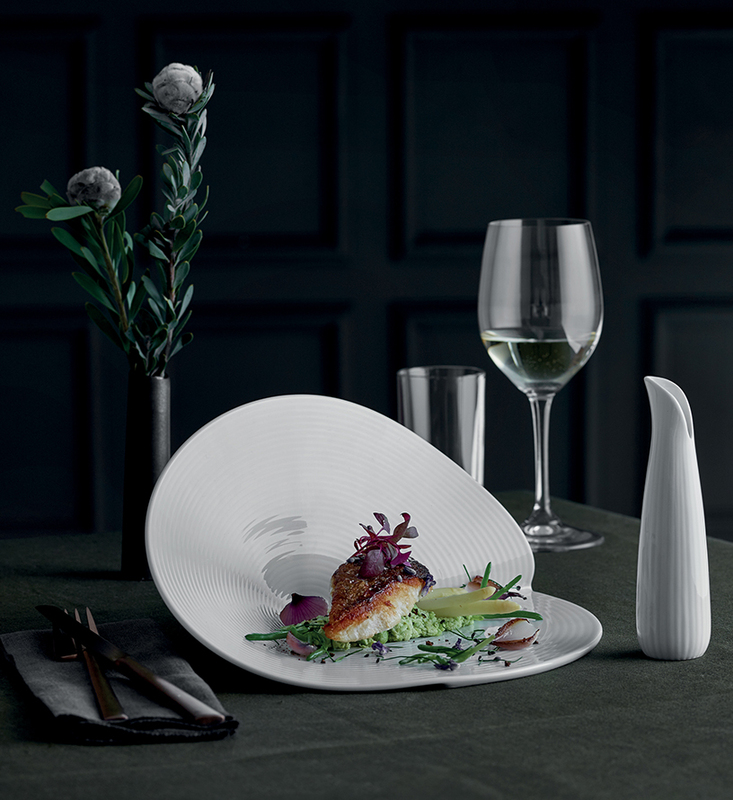 With the right crockery we can create a special atmosphere around the table. And that’s not all: our dinner service also affects the sort of dishes we serve. We’ll tell you the whole story. As early as the Neolithic period, potters knew that to make an impression, you can often use a surprising shape. This knowledge is now bearing fresh fruit. Very out-there, and very satisfying, this serving dish by Pillivuyt is about more than mere presentation – it sets a whole stage! With this show stopper as a centrepiece, the rest of the table setting can be pared down. Kahla also adopts a folded shape, while Onshus explores organic forms. Jacques Pergay and his daughter Aurélie produce Limoges porcelain for some famous customers. For instance, top restaurants such as the one in the Hotel George V in Paris employ their elegant tableware. Cookplay presents an eclectic collection that creates an unexpected ensemble. Not only does this interplay of shapes offer a different perception of the food served, it also influences which dish to choose in the first place. There are many facets to the impact of unusual shapes. Humans have a need to tell stories. But why hide them between the covers of a book or sequester them on-screen? These days, stories can be found in many different forums. Successful storytelling can really capture our imagination. Many designers and manufacturers are now telling their products’ stories to show how special they are. 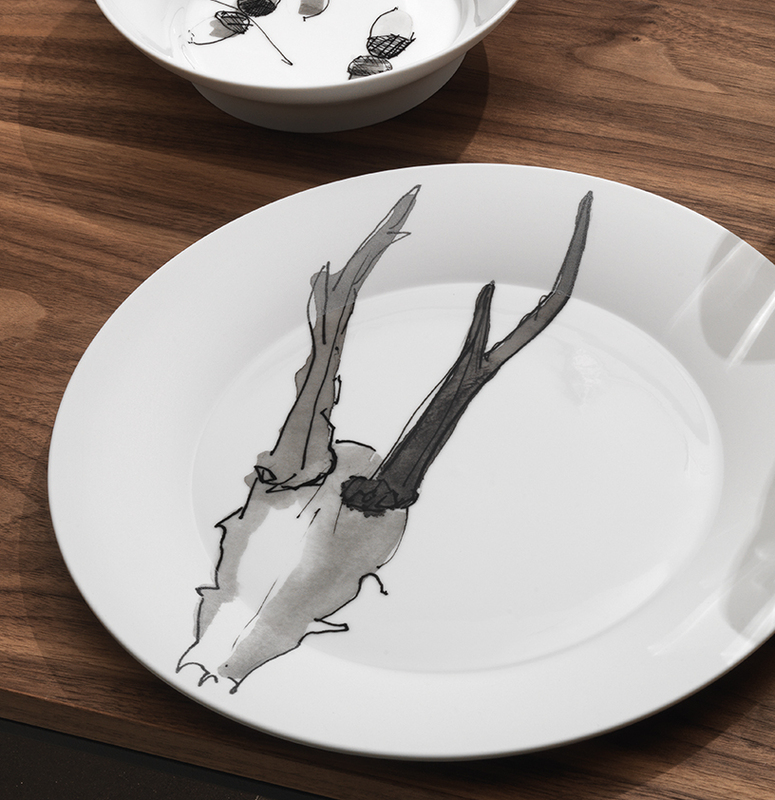 Hering Berlin invites you into the woods for a hunter’s gathering. With tales of twigs, antlers and acorns, you’ll be absorbed into a woodland world, even if you’re enjoying a rustic stew and not tracking wild game. Stories are presented in a certain order in which one thing leads to another. But many things in life happen at the same time, with subtle parallels between them. Some porcelain manufacturers have incorporated this insight into their work. Faiencerie Georges lets you build a crane from an arrangement of their plates. 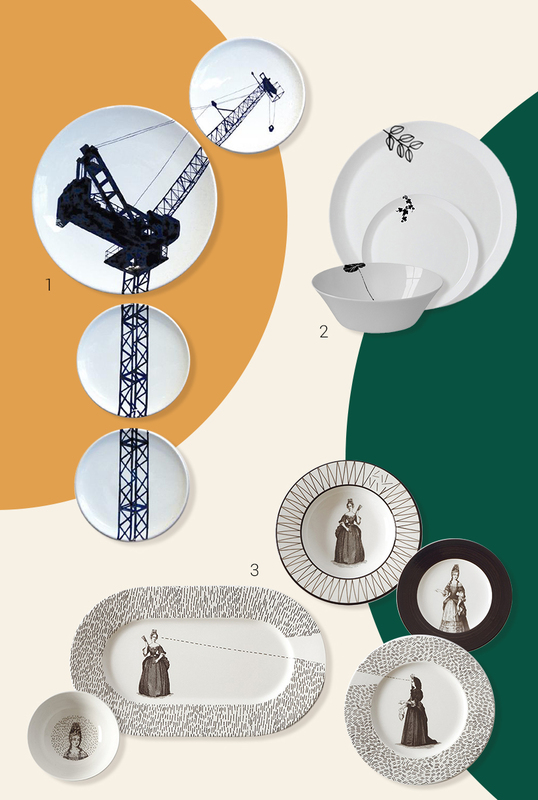 These items from Månses Design add a dash of design from which your imagination can take flight. Portego presents plates which provide a lot of food for thought, like these two ladies looking at one another along a dotted line. It’s a witty take on traditional porcelain, with a dash of comic conventions. Lines, ripples, circles. Circular and rectangular shapes. And, of course, in a limitless range of colours. Pattern knows no bounds. Today’s plates certainly make the most of it! 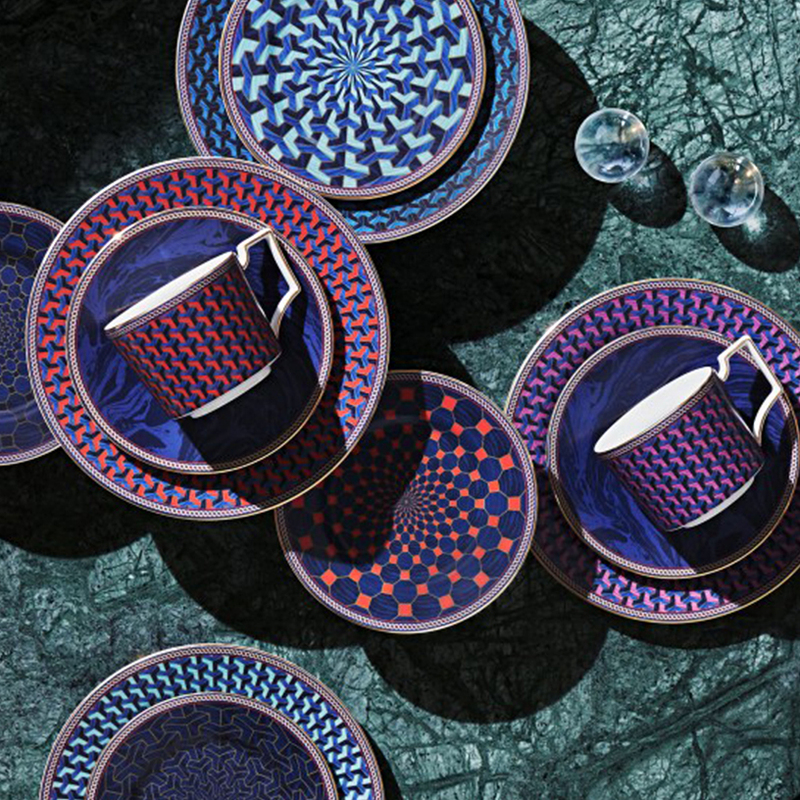 Miho Unexpected Things and Wedgwood display dense geometric patterns in a red and blue colour scheme. Lene Bjerre uses regular structures, in contrast to Denby and Rosenthal; with Rosenthal, the glaze is the key. Sometimes, as with Vista Alegre, even the merest hint of a design makes a strong impact. Which just goes to show, effective patterns are much more than just colours and shapes. Bringing nature into your home needn’t mean keeping house plants. The right tableware can also conjure up a natural environment. Whether we reach for the stars with Porcel, or dive into the blue with ASA-Selection, there’s joy to be found in man-made objects that reflect nature. 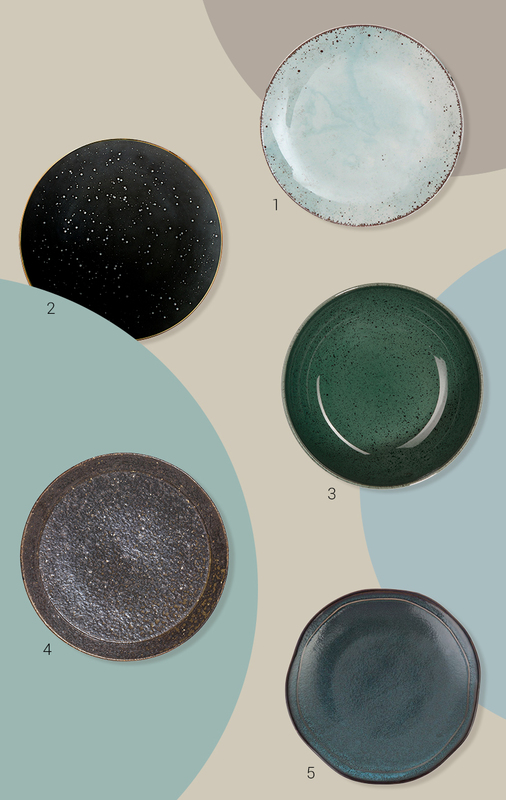 Just look at the ceramic ‘freckles’ on plates by aida. Nature lets us open up to another world: a world of earthy, solid – and sometimes spherical – promise. The crockery from Time & Style, shimmering in earth tones, has an interesting surface and contrasts beautifully with Fortessa’s luxurious blue, uneven-finish dinner service. That’s how nature moves away from the outdoors to bring an added dimension indoors at mealtimes. Q: What’s old and yet contemporary? A: A classic design. Porcelain is an area with just such design classics. 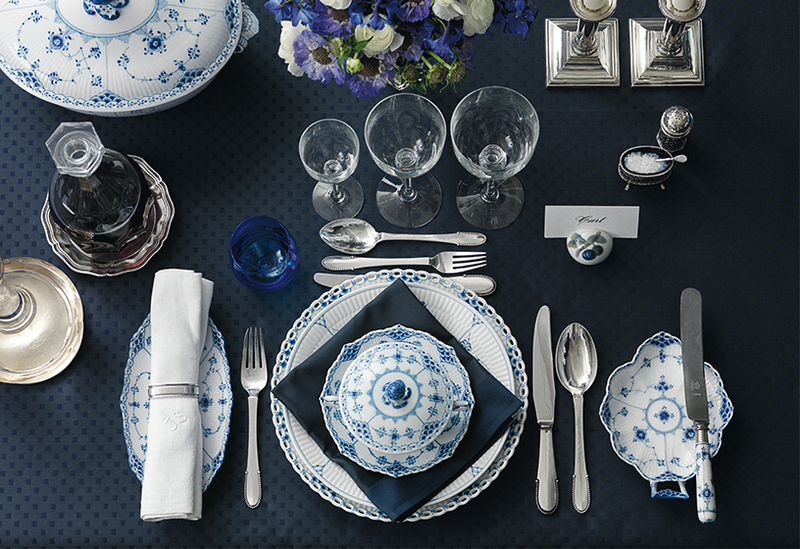 Everyone knows the famous Blue Fluted Plain pattern from Royal Copenhagen. Ever since it was first sold in 1775, customers have been discovering it for the first time, and laying their tables with it. Now it has been reinterpreted in some style by Karen Kjaeldgård-Larsen, whose ‘Blue Fluted Mega’ enlarges fragments of the original design. This makes for a fresh, modern look that can be combined with the classic design to great effect – and illustrates what a true design classic it is. Taking tradition further isn’t just for the major manufacturers: new Norwegian company Wik & Walsøe has presented traditional Scandinavian designs in its own idiosyncratic way. 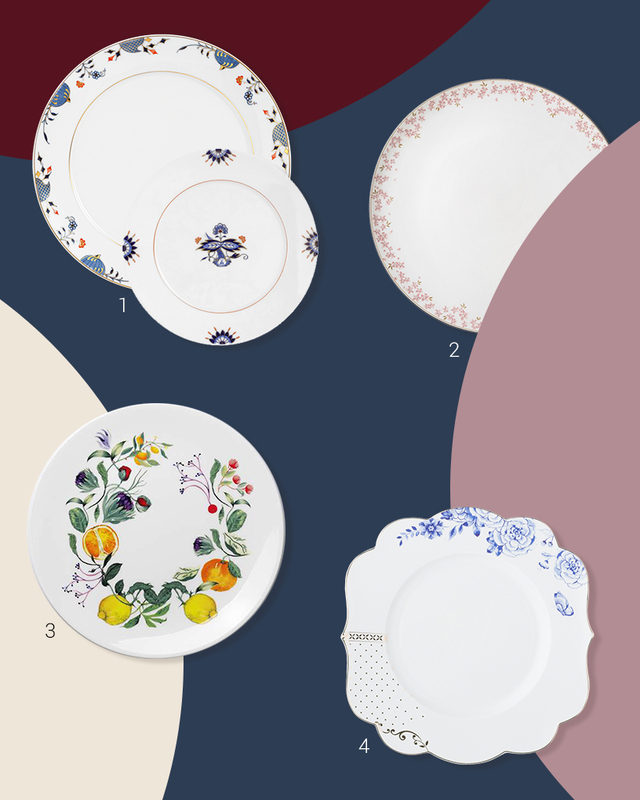 Pip Studio from the Netherlands approached reinterpretation from a unique angle, with its bright Royal Tableware designed to stand alongside the more restrained Royal White Tableware. Here, delicate floral elements interact with bold graphic patterns. 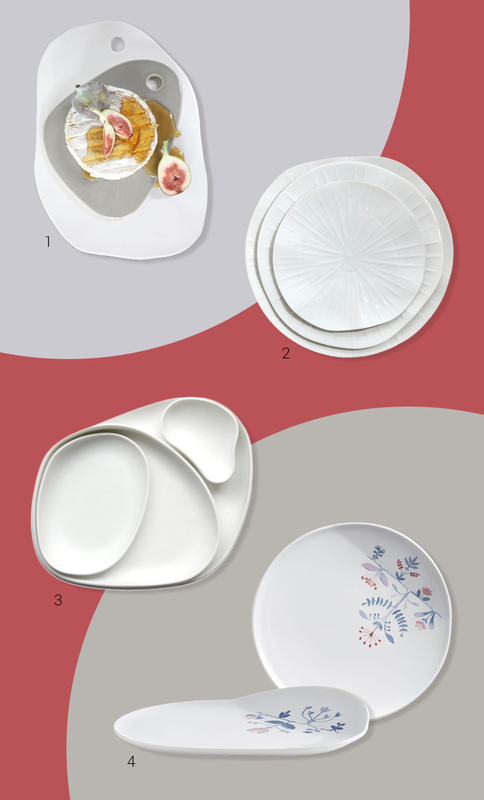 The distinctive shape of these new fine porcelain plates is the same, and both ranges make an equally good impression. It’s reassuring that the classics can hold their own, while also sparking a dialogue with the future.